Woven Photo Viewer is a free photo viewing app for Android to browse photos from all photo sharing websites in one place. Download Woven Photo Viewer free. Go Media Manager is a free media manager plugin for Go Launcher EX Android app. Download Go Media Manager for Android and manage all your media files. FaceDropt is a free Android app to automatically upload photos on Facebook via Android. Download FaceDropt to schedule automatic photo upload to Facebook. Maluuba is a free Android app to perform multiple tasks with voice commands on Android. Download Maluuba app for Android and enable voice commands. Caller Name Talker is a free Android app to let the caller ID speak the caller name or number on Android. Download Caller Name Talker app for Android. Focus Camera is a free Android app to put the focus on a particular area in a photo. Download Android Focus Camera app to add focus effects to photos. MyScript Calculator is a free mathematical calculator app for Android that can recognize your handwriting. Download MyScript Calculator app free. 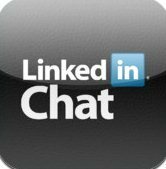 InChat for Linkedin is a free Android app to chat with Linkedin professionals on Android. Download this Android Linkedin app to chat with your buddies. FXGuru is a free Android app to add action movie effects to any video on Android. Download FXGuru app and create action movie scene on Android with ease. Baidu Browser is a another Android web browser from the leading Chinese web service provider for Android. Download Baidu web browser for Android. I M Sleeping is a free Android app to put Android on silent mode automatically. Download I M Sleeping app and put your Android on silent mode automatically. iHandy Translator is a free iPhone app to translate text from one language to another. Download iHandy iPhone language translator app for absolutely free. Wapedia is a free Android app to access Wikipedia. Download Wapedia Android Wikipedia app to search content on Wikipedia and other wikis. Send voice messages and make free VoIP calls via Facebook Messenger app for Android and iOS. Download Facebook messenger app for Android.